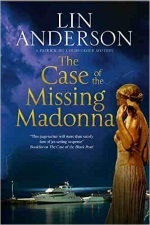 Lin Anderson appearance at Darlington Library on 3rd February 2016 (more info). 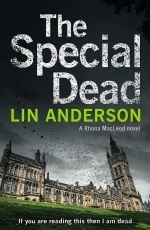 The Special Dead, the 10th book in Lin Anderson's forensic scientist Rhona MacLeod series of crime thriller novels, will be published on 13th August 2015. Prior to publication it is available for pre-orders on Amazon UK and on Amazon USA. Lin Anderson appeared at the Edinburgh International Book Festival at a DOORS TO DECEPTION event with Christobel Hunt on 20th August 2015 at 7:00pm (details and tickets). There will be a Pan Macmillan launch party to celebrate the publication of The Special Dead at the Edinburgh International Book Festival (Charlotte Square Gardens) in the 'Writer's Retreat' at 8:30pm on 20th August 2015. 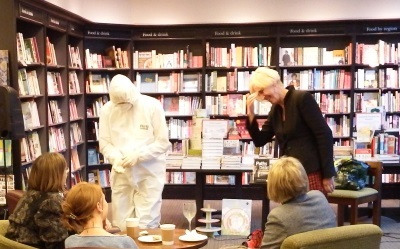 Two fantastic authors and a whole lot of fascinating science – a must for CSI fans. Lin Anderson is speaking at the Association of Anatomical Pathology Technology conference in Inverness on 19th September 2015. Other speakers include include: Detective Chief Inspector Iain Smith from Police Scotland, biomedical scientists Laura Naine and Kimberly Campbell, neuropathologist Dr Simon Paine, and Ebola expert Dr Christopher Mair (conference booking here). The AAPT are running a competition in connection with the Lin Anderson conference appearance (details here, closing date 1st September 2015). The second book in Lin Anderson's Patrick de Courvoisier series will be published in the UK on 28th September 2015. Prior to publication it is available for pre-orders on Amazon UK and on Amazon USA. The Case of the Missing Madonna continues Patrick's story from The Case of the Black Pearl, and opens dramatically at a Buckingham Palace garden partly, before moving to other exotic locations, as our hero is pulled away from his normal world in the old town and old port of Cannes. Advance copies of The Case of the Missing Madonna will be available for sale at Bloody Scotland in Stirling (11-13th September 2015).